Every single year, I laugh at FIFA and PES players for buying the exact same game. 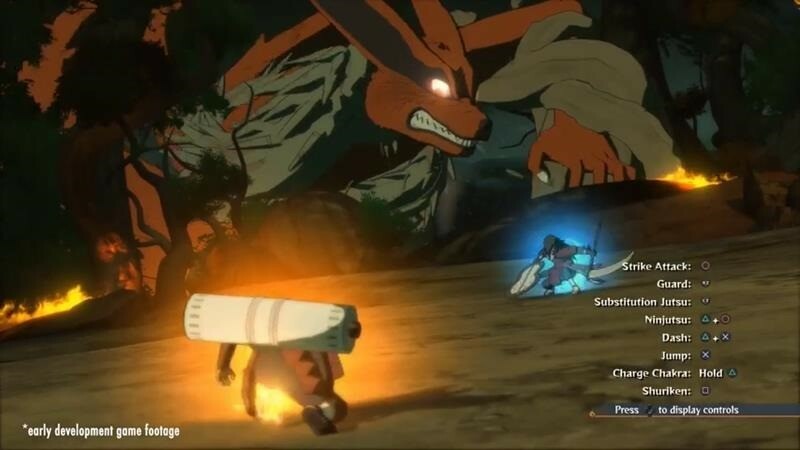 The irony of this is not lost on me however, as I’m usually playing one of the new annual Naruto games at this point as well, a series that is more copy and paste than a university essay assignment. 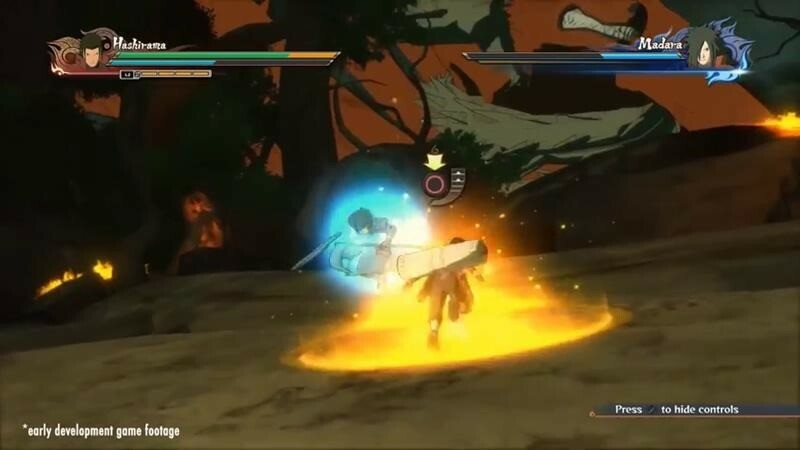 Still, while the majority of Naruto games haven’t exactly managed to capture the spirit of the very first and superb Ultimate Ninja Storm title, they have had some solid ideas which weren’t really explored. 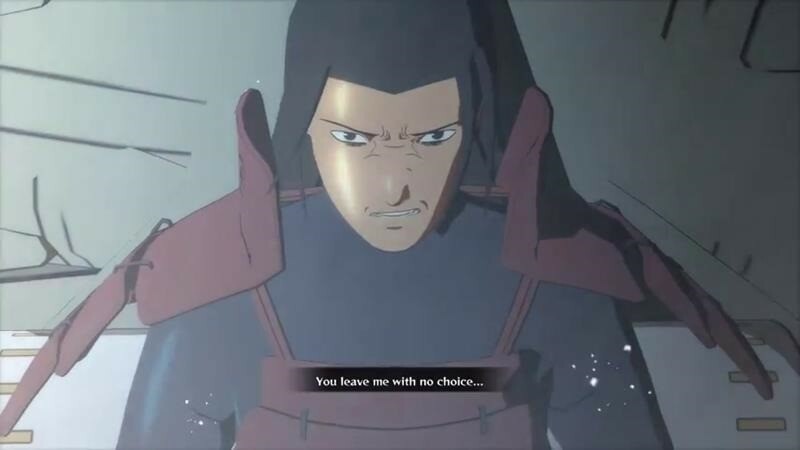 Ideas which I’m hoping to see more of in Ultimate Ninja Storm 4. So the one thing that I’ve never been able to fault the game on, were its visuals. 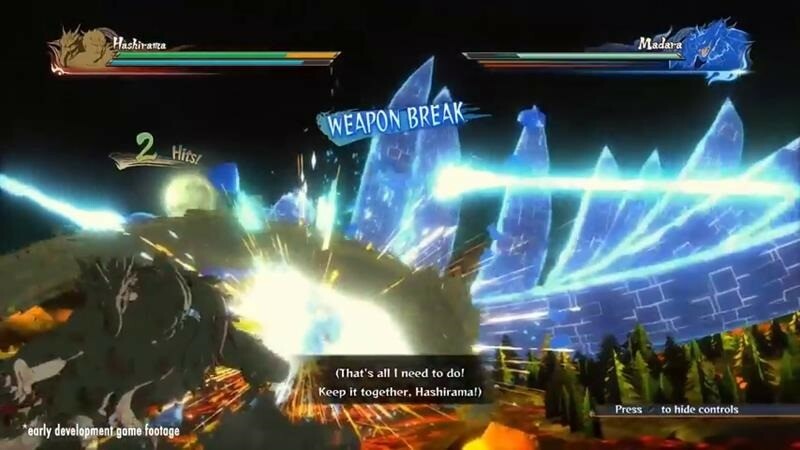 They’ve always been phenomenal and perfectly translated into the gameplay itself. And while the game mechanics have always been solid, they haven’t exactly evolved too much over the years. And it looks like this current-gen version of the game will be sticking to the tried and tested formula. And that’s okay. Because it does look like it has a few new tricks up its sleeves. 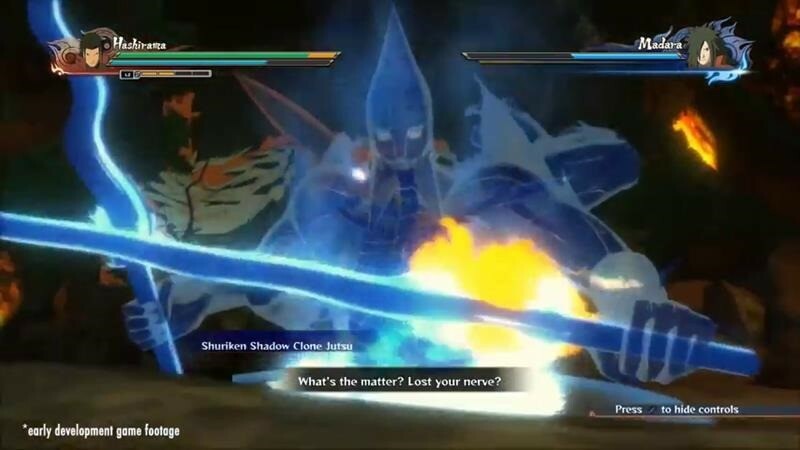 For instance, what made the first Ultimate Ninja Storm so damn great were the boss battles. 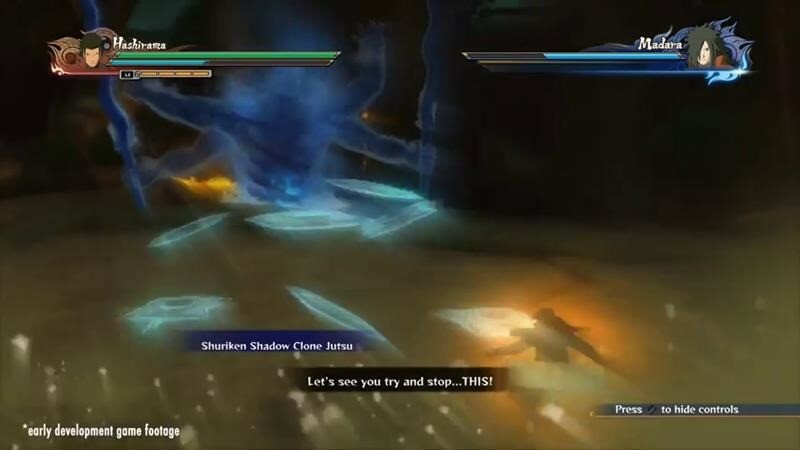 We finally saw some more of those encounters in Ultimate Ninja Storm Revolution, and I’m hoping that there’ll be plenty more of them in UNS4. 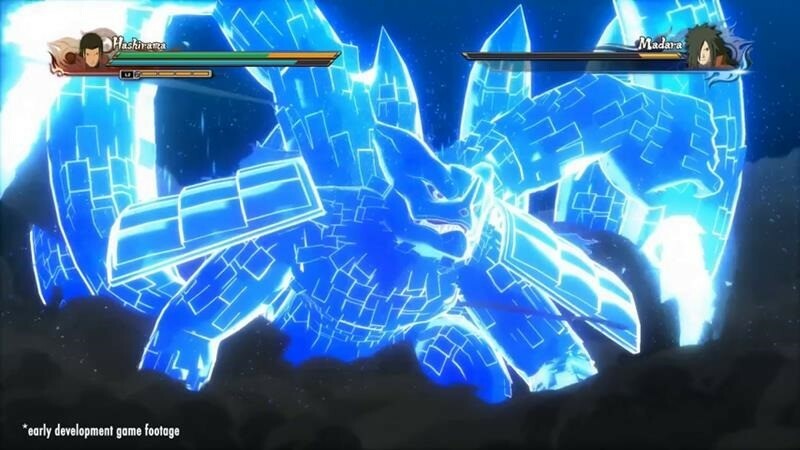 Take for instance the image above, where Madara uses the Susan’O technique, creating a perfect mini-boss scenario. I dig that, and want to see more variety with other antagonists in the final game. I’m also happy to see quick-time sequences return. 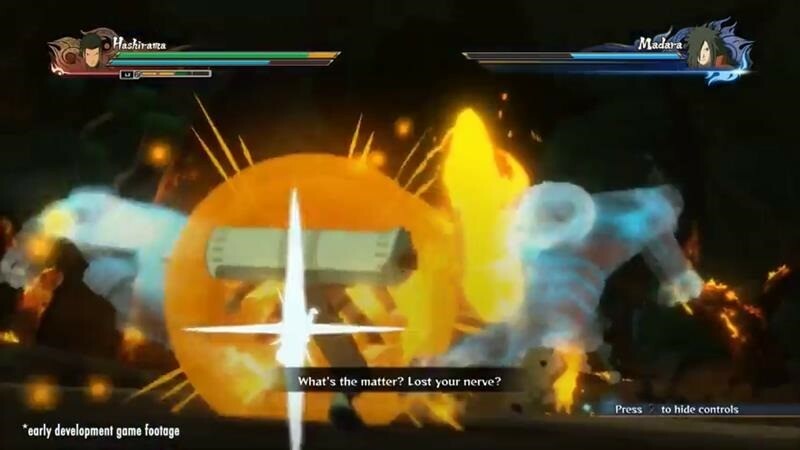 One thing that the Naruto games get right, is that they strike a great balance between button prompts and watching your actions unfold. 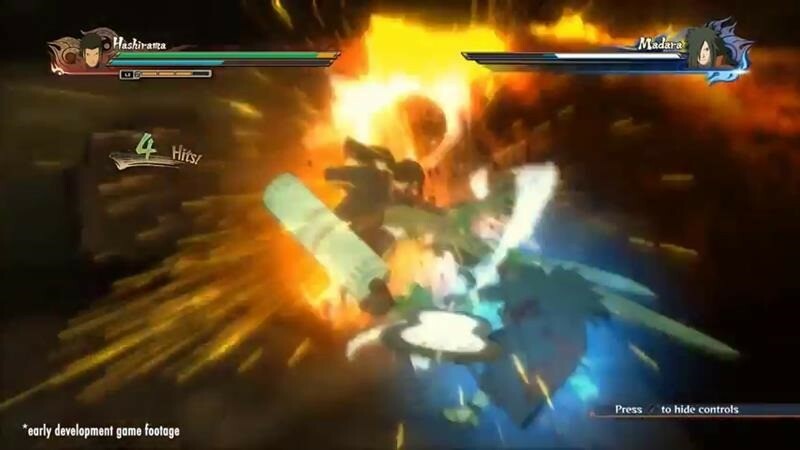 It truly is beautiful to watch one of those QTE scenes unfold successfully. Now here’s a cool addition: Weapons. 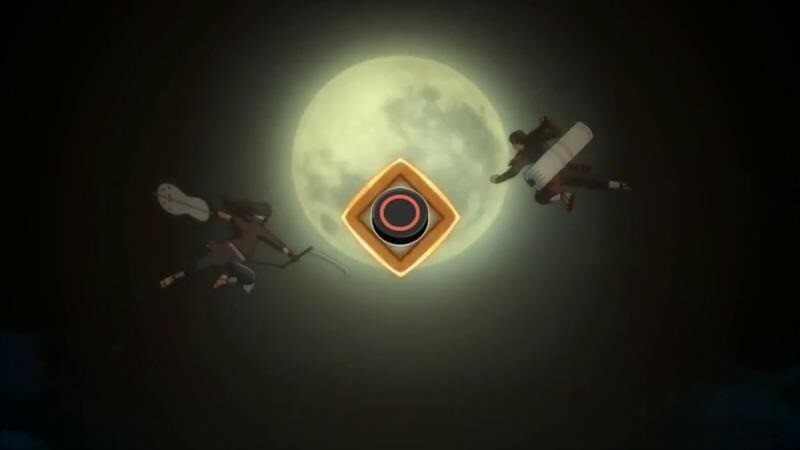 Besides the usual shurikens and ninja techniques available in the game, it looks like players will also be able to wield legendary weapons to deal extra damage as well, changing up the gameplay. 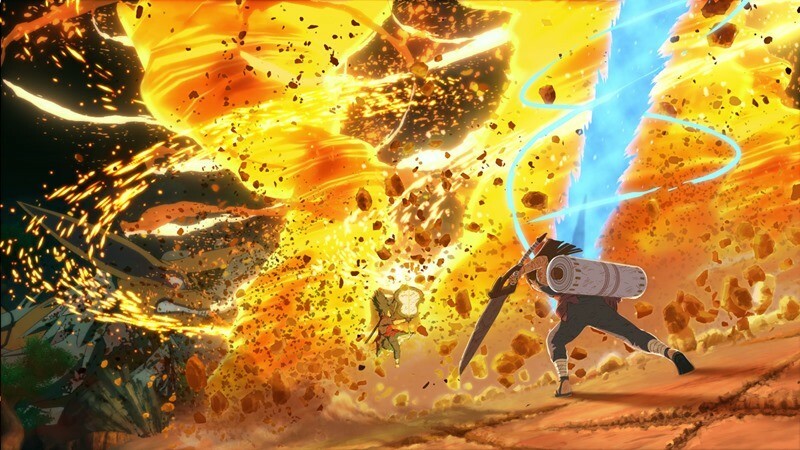 That’s kinda rad, and something that fits in well with the manga. I’m hoping that this is something that will be available in free battles as well, to mix the current formula up a bit. 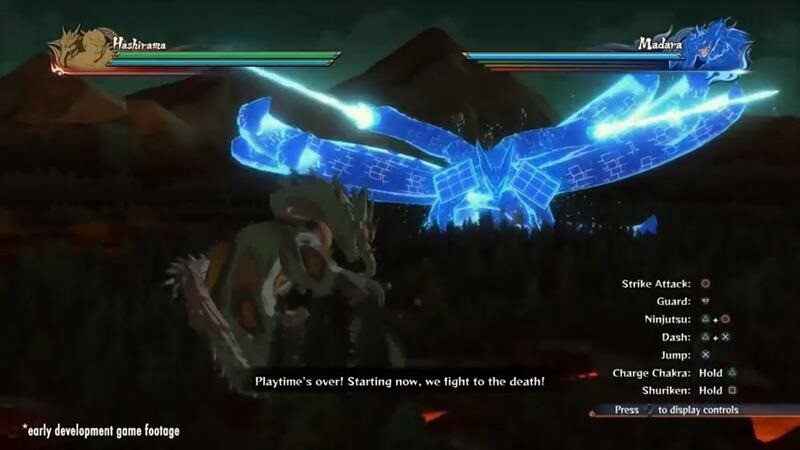 Bigger boss battles will always be cool, something that has become a staple of the series. 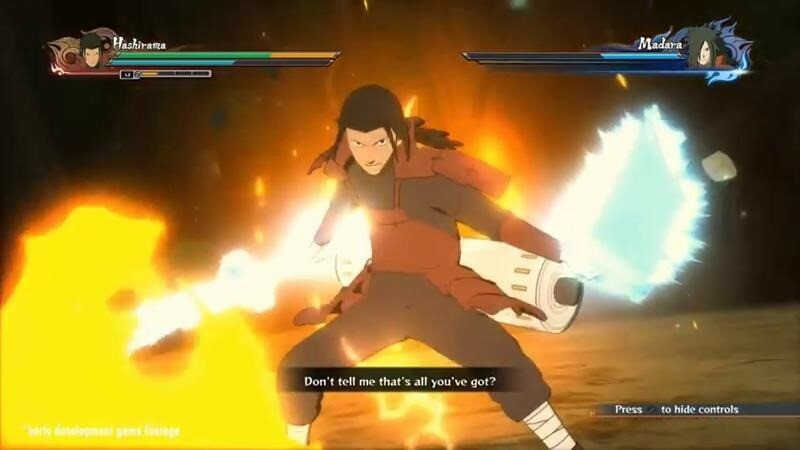 But seeing some artistic license, where Madara extends his Susan’O technique to cover the nine-tailed Kyuubi up as well? That’s actually kinda freakin’ awesome. Don’t expect this formula to change too much either. 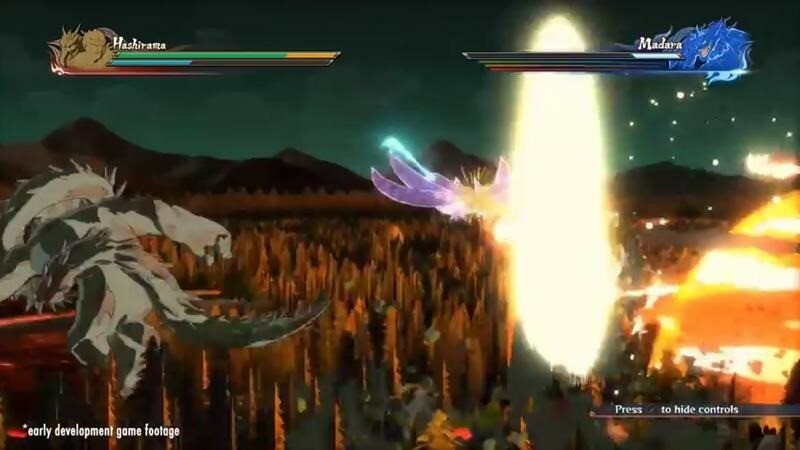 You’re essentially still playing the same game, but with a slower sense of movement, more power and a larger environment that is home to up-close and distance attacks. But more importantly, keep the story intact. 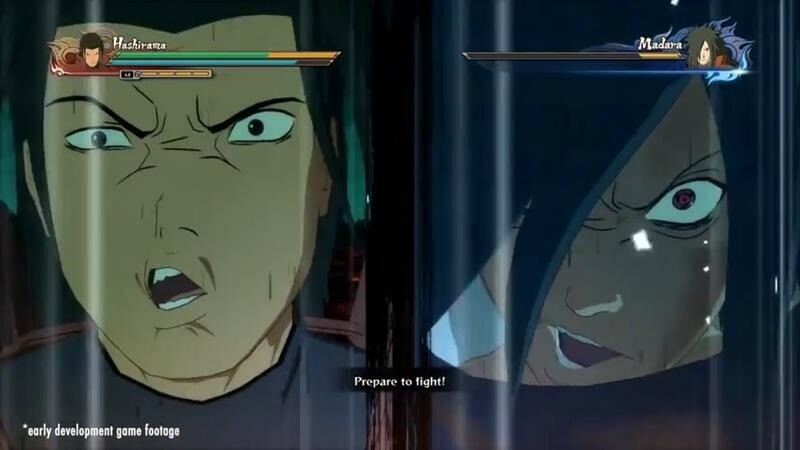 Digging the facial animations I’m seeing in the game so far. And that’s it. Not a bad slice of gameplay at all. I’m kinda of…excited for the game now. Clearly, someone has trapped me in a Genjutsu technique. Clearly. Previous article You think this new trailer for JURASSIC WORLD will scare the kids? Next article Are consoles getting 4K support this year?